Hosting an online business site with FatCow for over 3 years now. 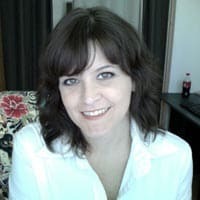 Welcome to Jessica Gibbs, whose website, PrintDigitalInk.com, has been hosted with website hosting provider Fat Cow for over two years. We contacted Jessica to ask her about her experience with this company. Hello Jessica! Can you please introduce yourself and tell us about your background? I am a graphic designer with over 20 years of experience. I’ve worked for publications, printers, marketing firms. etc. I opened Digital Ink three years ago in my home, working from a third bedroom. Last year, I was able to move out of my bedroom and into a bricks-and-mortar storefront here in Melbourne, Florida. Now that we know you a bit better, Jessica, let’s get down to business – specifically, your business website hosted with FatCow. Are you hosting only your main site with FatCow or do you have other websites hosted there? I use FatCow for many of my customers’ sites. I find the ease of use and support are great. Right now I am currently working on five other sites through FatCow. "…I am currently working on five other sites through FatCow." Jessica, with so many website hosting services available, can you tell us what made you choose FatCow in the first place? I found it online and compared it to many others. I gave it a shot and just got lucky, I guess! Once I figured out how easy and affordable it is to maintain, it was a no-brainer for me to choose FatCow. "Once I figured out how easy and affordable it is to maintain, it was a no-brainer…"
It sounds like FatCow has performed up to your expectations since you first started with them. Are there any special features that you like the most? I particularly like the drag and drop site builder that makes it easy to create a professional looking website. According to FatCow’s website, there are “no set limits” on disk space or bandwidth – as is very common across website hosting providers. Have you ever reached the limit on either? How do you find FatCow in term of uptime reliability? Usually very good. I have had some downtime, but nothing significant. Nothing I could complain about. Have you dealt with FatCow’s customer support department? What was the case? I have had a couple of problems with email, but nothing that couldn’t be fixed. I have asked a few times what charges were for, and they are usually responsive and give me the info. They respond promptly and are always pleasant and knowledgeable. "They respond promptly and are always pleasant and knowledgeable." Jessica, do you have any parting advice for other business owners who are looking for a website hosting company? Make sure that whatever system you choose, the company fits your expectations of usability and services you offer. Thanks again, Jessica, for taking the time to share with us. To learn more about the host, see our FatCow review.